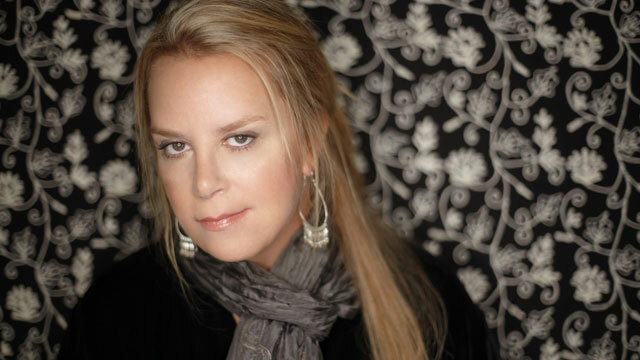 Mary Chapin Carpenter sat down with John Platt for an interview at the Canal Room in New York City in front of an audience of WFUV Marquee Members. They talked about her recovery from a near-death experience, her quiet life in rural Virginia, and her very personal new CD, The Age of Miracles. As they were finishing their conversation, Mary Chapin took a deep breath and submitted to the WFUV Pop Quiz. Aside from gear, instruments or your band, what don't you go on the road without? My pillowcase. It's just a certain kind of very thick cotton and it's not nylon or rayon or whatever you get in a hotel. It crinkles in my hands, it's soft against my cheek, and it smells like home. What song do you wish you've written, and why? There are so many. "Norwegian Wood" is one. Who do you wish would have recorded one of your songs, dead or alive? Bruce Springsteen - a song called "Naked to the Eye." Something from a musical. [Sings "The Sound of Music."] I grew up in a house where we played musicals, and I always wanted to make a record where I could just sing every song from my favorite musicals. I've also always had this idea to cast a record and match a great artist of a certain genre to a great song from a musical and have the record be a fundraising record for Broadway. Someone finds your iPod and hits shuffle. What song do you hope does not come up? I don't feel a lot of shame about what's on my iPod. I don't have a lot of songs that I could think of that I wouldn't want you to know. I'm iPod proud. I wish I could be a veterinarian. Do you have any hidden talents that you can share? Yes I love to cook. I taught myself to cook when I was recovering from all those ailments and became addicted to cooking shows on television. Now there is nothing I love more than to have people over and cook for them. What's the biggest misconception your fans or the media have about you? That I am very serious. I think I have a hidden sense of humor. What wacky thing would you do if you had the time, guts or money? It's not wacky, but, fly in a hot air balloon.